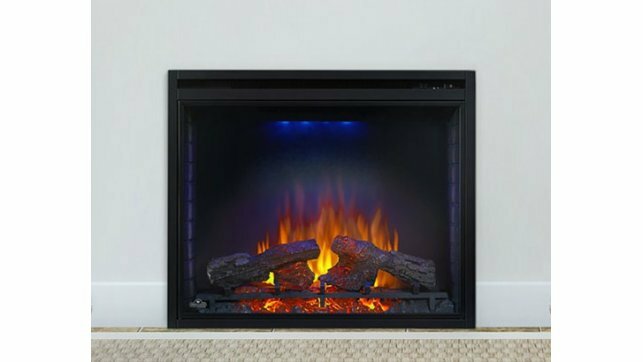 The Napoleon Ascent Electric Fireplace insert imitates the look of a traditional masonry fireplace. Enjoy the convenience of simply plugging it in, sitting back and enjoying the heat and glowing log set! Napoleon’s flame technology randomly adjusts the flame effect, colour, height & speed, creating the illusion of a true wood-burning fire with a modulating ember bed for the realistic glow of burning wood. 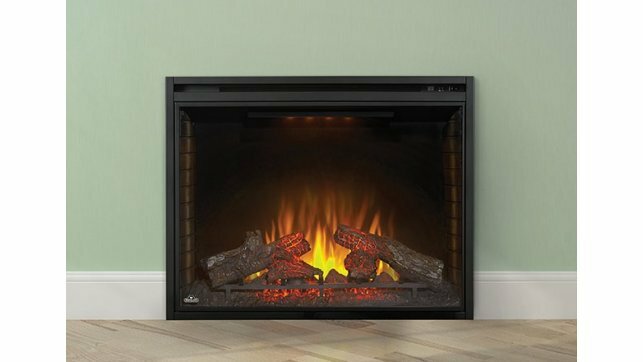 The ULTRA BRIGHT™ LED lights and convenient remote control enhance the allure of the Ascent Electric fireplaces. Perfect for any room in a house, condo, apartment or office.